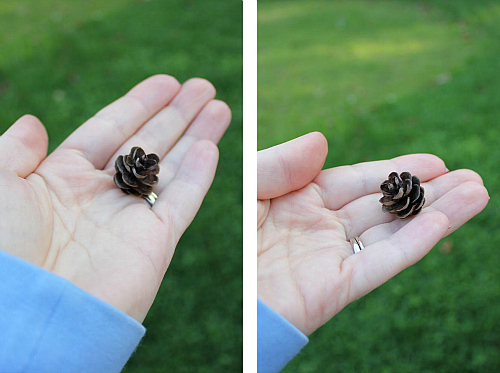 love, laurie: the world's smallest pine cone? the world's smallest pine cone? i found this tiny gem in our yard on saturday when ryan was setting up our new lawn mower. isn't it just the cutest little thing? i'm convinced it has to be one of the world's smallest pine cones. Cute little thing. Someone I know would love to bat that around.